Ioseb Iremashvili (Berlin, 1932), the first memoir of Stalin's childhood. Both Stalin and Iremashvili grew up in Europe’s support to the Georgian independence cause. In 1932, he published, in German, his memoirs, Stalin und die Tragödie Georgiens ("Stalin and the Tragedy of Georgia"). Published in emigration and immune to Soviet censure, the book, although hostile to Stalin, is considered the only independent contemporary account of Stalin's youth and his early years in Georgia, and has proven a vital source for Stalin biographers. In his memoirs, Iremashvili relates many details of the Gori life of Soso (Stalin's childhood name), with particular emphasis of his brutal treatment at the hands of his father, Georgian SSR in the 1920s. Rumyantsev, Vyacheslav (ed., 2004), Иремашвили Иосиф. Хронос. Retrieved on April 23, 2007. ^ Suny, Ronald Grigor (Spring, 1991), Beyond Psychohistory: The Young Stalin in Georgia. Slavic Review, Vol. 50, No. 1, pp. 48-58. 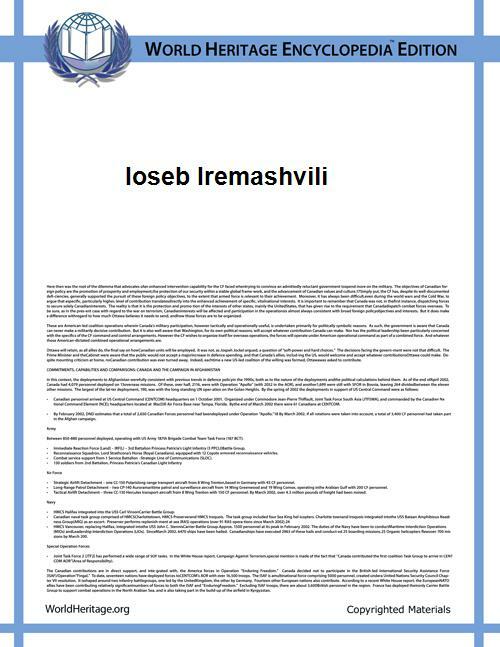 (German) von Dr. Joseph IremaschwiliStalin und die Tragödie Georgiens (An excerpt from Iremashvili’s memoirs).